Welcome to All Star Collision Center in Jacksonville, Texas, serving the East Texas area. 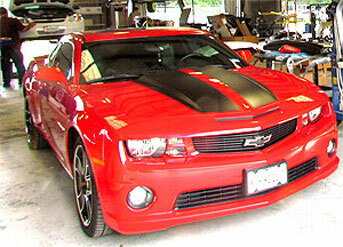 Contact one of our experienced, professional, auto body repair estimators today. With our skilled professional auto body technicians that have decades of experience, we have the best ratings in the East Texas market. We support our community as a Member of the Jacksonville Chamber of Commerce and as a Member of the Better Business Bureau. Professional tradesmen's automobile body repair skills and products are an art, combined with science, safety, and technology for a quest of perfection. Economics of time, costs, durability, along with cosmetics are factors of satisfaction recognized by our customers that we have served. We take pride in our work. And gratefully, so do our customers. ©2016 All Star Collision Center and Online Directory of Texas.